Music relates with Moon and Venus. Sometime, it relates with Mercury. It may directly affect to mind due to Moon. Due to Venus it gives happiness and prosperity. 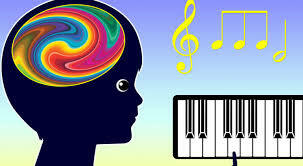 Music is very beneficial in mental disease and health problem. Music is also beneficial in financial problems. In morning, listen sitar or flute music to avoid mental disease. Concentrate yourself in that music. It gives benefit. Tabla is beneficial in digestive problem. Listen light traditional music in heart disease. If this traditional music is stuti or prayer then it gives more benefit. Listen bhajan or kirtan to get rid of health related problems. Every type of problem can be avoided through dance-music. Always listen to loud western music if your money trapped. It is beneficial listen to soft and romantic music if you cannot get wealth. Blow shell, bell and music with psalm if you are facing financial losses. Play aquatic music in business place if you want money in business. Donate gazal or serious music to those with whom you want make strong relation. If you want success in love then listen to early morning music. Use sitar music to improve old relations. Remember that person while listening music. Do not listen sad and separation morning. Listen to soft or romantic music before going an interview. Listen to basuri music to get marry. Listen to shell music to get success. It is beneficial listen to sitar music before going for an exam. Good Luck: Do not make conflict on Friday. Otherwise, it will not end for long time.